Security camera technology today is allowing us to see more images at a higher quality while using fewer cameras. 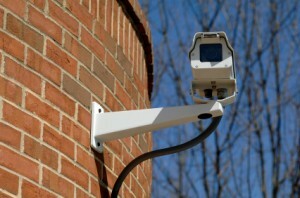 However, there are still some problems that face security camera systems. In this blog, we’ll take a look at new technology being used in security cameras, and how developers are working to overcome obstacles in system management. Cameras with wide dynamic range (WDR) capabilities are becoming increasingly popular, and with their popularity comes affordability as they are more widely adopted. WDR cameras are effective in situations where the field of view varies greatly in brightness, as the cameras sensor can process different intensities of light and increase detail at the same time. The most common technique WDR cameras use to achieve this is called multi-frame imaging, where the camera captures several frames, each having a different dynamic range, and then assembles them into one image that encompasses all of these dynamic range’s. However, while WDR cameras may have good dynamic range, the monitors they are fed to do not, and thus the range is reduced to the capability of the monitor. Setting a monitor at maximum contrast will provide a better image at the cost of some dynamic range. WDR cameras are also not optimized for nighttime use, and are susceptible to motion blur, like any camera. Proper setup will help reduce motion blur. Long distance surveillance is an area in which security cameras are improving, but the distance itself presents a major obstacle. As distance increases, the amount of light that reaches that camera’s sensors decreases, meaning that action that occurs further from the camera is more difficult to observe. This can be compensated for by using a camera with a megapixel camera high zoom lens, which can generate the same amount of pixels as a standard resolution camera over a longer distance. However, in some cases the distance is simply too great. In this situation, the best option is to place a camera with wireless capabilities close to the area in question and transmit the feed wirelessly to the surveillance network. Cameras that are powered remotely by solar panels give a freedom of mobility to the camera not previously afforded by expensive solutions such as underground trenches for hardwired power. This entry was posted on Thursday, August 8th, 2013 at 2:15 pm. Both comments and pings are currently closed.